Let’s face it—going to the dentist can be stressful, even if you don’t have a problem tooth. At Hutto Hippo Family Dental, you won’t find a quiet, stuffy or hushed atmosphere. We take a different approach to family dental services, keeping things light and relaxed because we believe that laughter is good medicine and know that it can make dental visits lot easier for you. Why would you choose Hutto Hippo Family Dental? What are all of the services HHFD offers? 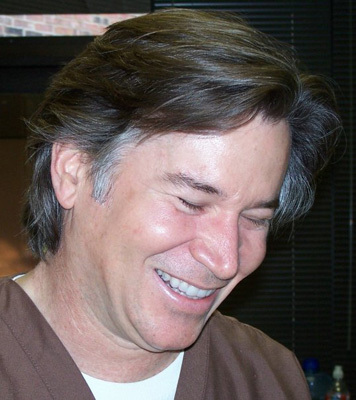 Dr. Baker was one of the first dentists in Austin to offer Six Month Smiles®, a less intrusive method of straightening your teeth that is typically less expensive than braces or other alignment therapy, Six Month Smiles® produce desired results in a shorter period of time with less discomfort and make dental hygiene easier. 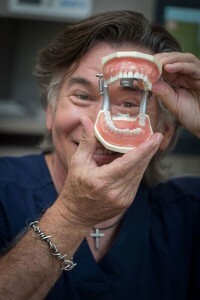 Dr. Baker is passionate about dentistry. He’s known since he was seven years old that he wanted to be a dentist. A sixth-generation Texan, he’s been practicing now for more than 27 years and thoroughly enjoys working with patients and performing all different types of dental procedures. Dr. Baker keeps abreast of the state-of-the-art dental practices and participates in extensive continuing education. We accept all types of insurance. Appointments are available Monday through Friday, between 8 am and 5 pm, but we are closed from 1-2 pm for lunch. You can also call our office after hours and on weekends, if you have an emergency.